Bit of a water babe? Forget the coastline this summer and be tempted by the lure of natural water spots instead. Wild swimming has soared in popularity in the last few years, with more and more of us embracing the freedom of open waters; dipping our toes into rivers, lakes and waterfalls. There’s nothing quite like it - no matter how cold it may get! 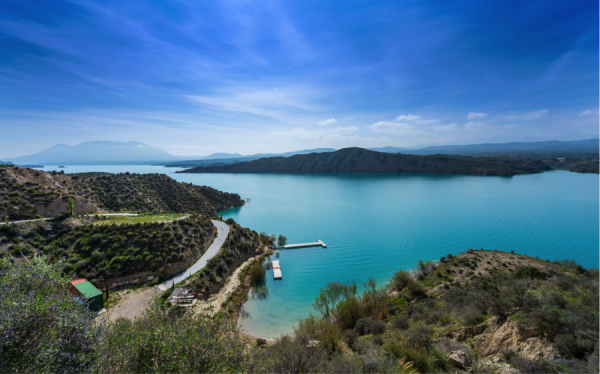 You’ll find this gem an hour’s drive from Granada in Spain’s deep south. The glistening waters of Lake Negratín at the foot of Mount Jabalcón are part of the natural parks of Sierra de Daza and Sierra de Castril - and what a beauty they are. It’s a popular spot with locals too, which is always a good sign. 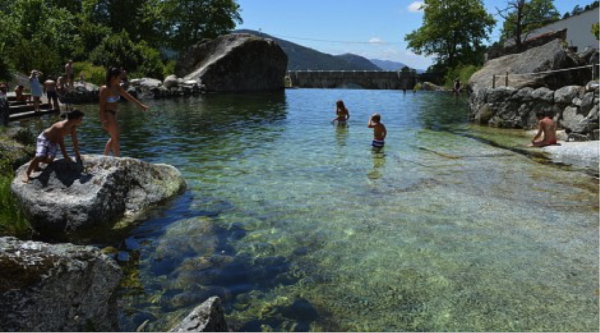 After a refreshing dip, head to Banos de Zújar - the thermal springs just above the lakeside - for a relaxing end to a day of swimming. The best way to explore Salzkammergut has to be by bike. Don’t forget your picnic - or your swim suit for that matter, because this region provides limitless opportunities to get your wild swim fix. 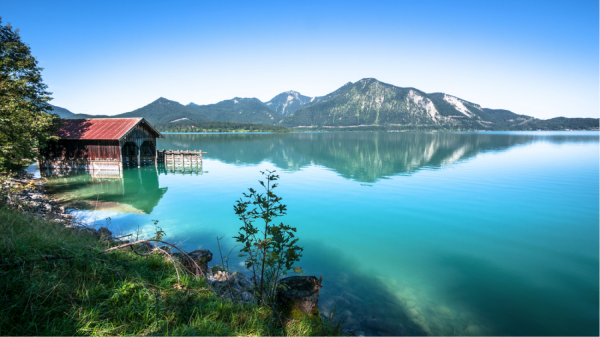 The spectacular natural beauty lies in the heart of Austria, with 76 lakes to explore. Our favourite? Lake Mondsee. The scenery is as stunning as it gets. Head south of Munich and you’ll find this Bavarian jewel - alpine wonderland by winter, swim haven by summer. 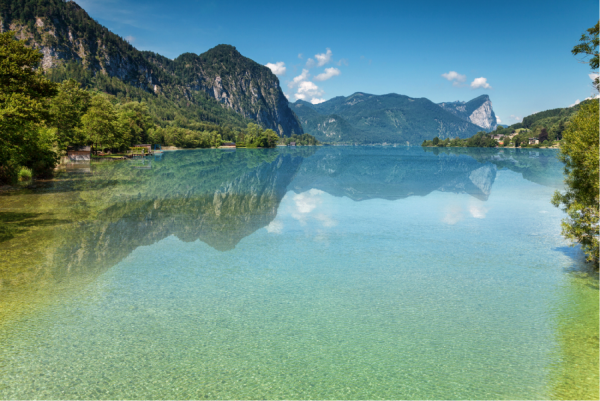 The inviting waters of Lake Walchensee are hard to resist: in shades of vivid turquoise, they’re some of the cleanest in the region. And there are plenty of gravel beaches dotted around the waterside to escape to if you wish to dry off in the baking German sunshine. Serra da Estrela is Portugal’s highest mountain range and first national park. The protected status of the area means its rugged beauty has been maintained and untouched - making for plentiful wild swim opportunities. Deep in its heart you’ll find waterfalls and streams for a cool dip, but best of all there’s Loriga River Beach. Mountain springs provide the purest of waters for the serene spot, which offers spectacular views of rural Portugal. 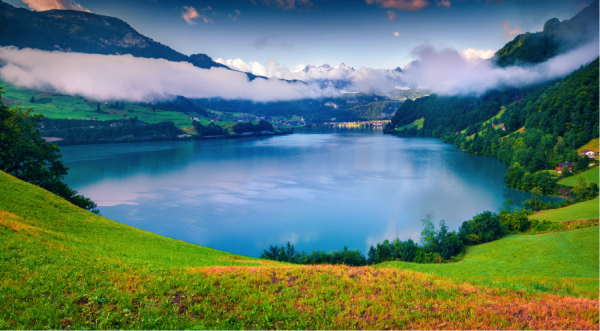 Don’t overlook Switzerland just because of its landlocked status, there are plenty of waters to explore - both in the city and the countryside. Geneva offers the best of urban swimming, but if you’re craving a more secluded spot, head to the wild. More specifically, for Lake Lungern. The beautiful lake has endless emerald appeal; not to mention its waters are so clean you can drink from them (if you dare). Standing at a dizzying 750m above sea level, this watery location demands dramatic mountainside scenery. Plus, there’s a waterslide and a diving board on hand if you get tired of backstroke. Want to boost your confidence in the water before you head out for a wild swim? Head to your local club for extra training before embarking on your next alfresco dip.